Super intelligent streamer, Kyon, does not play around. She has a clear mind, neat and rational. 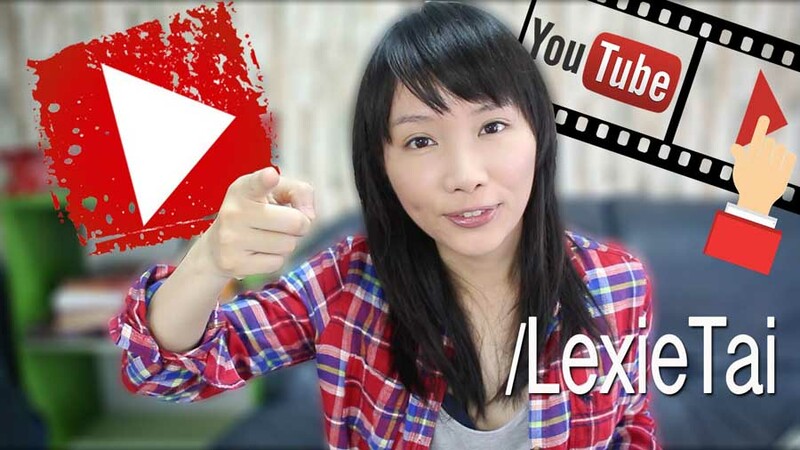 Her sense of humor and wisdom has successfully attracted more than 500,000 subscribers to her YouTube channel, making her one of the top Taiwanese YouTubers. 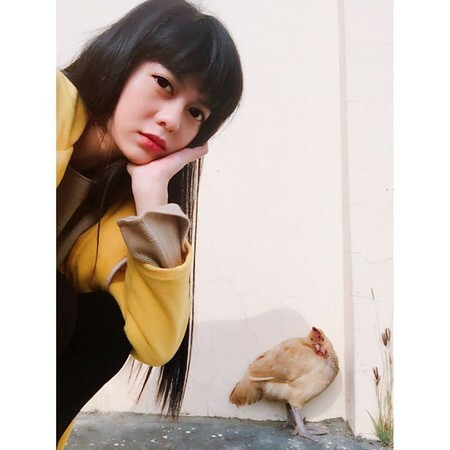 Unlike other creators using comedy to attract viewers, she shares knowledge and deep reflections (but always with a shade of sarcasm) about current events to gain a following. Thanks to her stories and film reviews, she has received an unimaginable amount of attention. In her feature program “Kyon’s Storytelling” she introduces books that she loves, and has launched some unpopular titles to the bestselling charts. Kyon also has some words for those fanatics that opposed marriage equality. 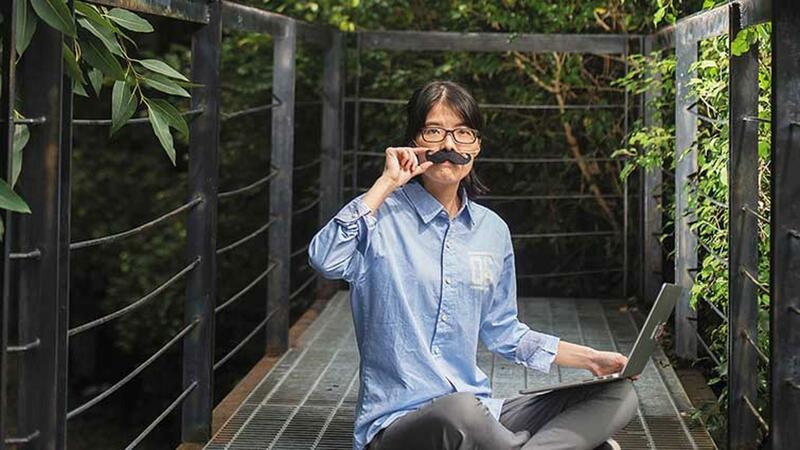 Based in Kaohsiung, Lexie likes to share interesting things surrounding her daily life. 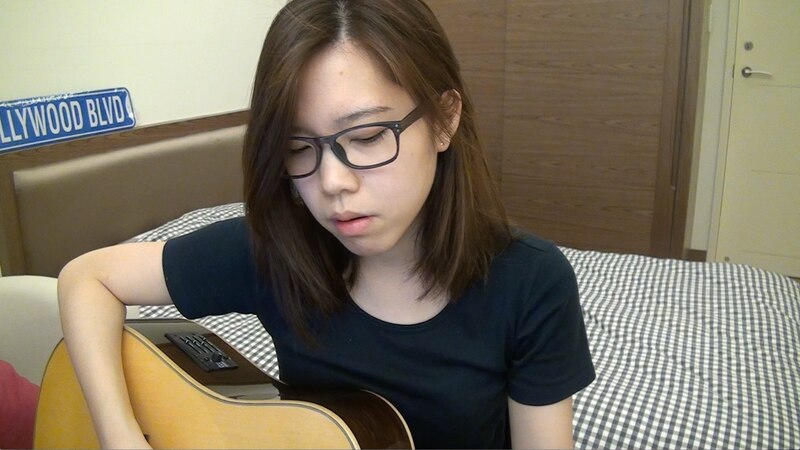 She studies abroad and share a video she sent to her parents when she came back to Taiwan. She told them, and all of us, that she actually loves girls. She has also made several funny videos supporting LGBTQ rights. Besides, she and her queer friends founded Lesbianingtogayther Channel. A mother shares the story of her queer daughter -- Closet Parent Mother Li shows up and tells her experience. When her daughter came out to her she could not believe it. Fortunately, she used the internet to know more about LGBTQ community, and now, she accepted Lexie’s invitation and recorded a film about parents of LGBT kids. 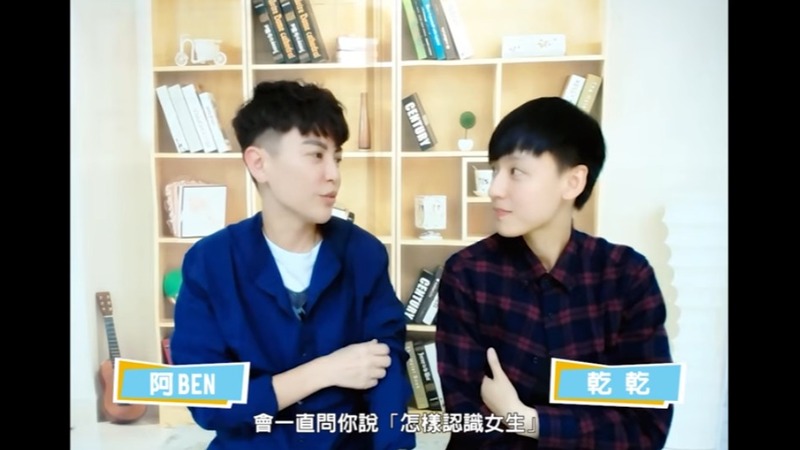 BBDiary invited a student couple (left) to talk about their love story. BBDiary was established by two long-haired girls. Maber is a physiotherapist, and Kristin is a full-time saxophone player. Their personalities are totally different. They met each other on the BBS, PTT Lesbian. They usually tease each other in their videos or wear matching t-shirts. Their interactions are adorable and will make you very very jealous. If we want to talk about the most popular unboxing Youtubers, then Anjou is definitely one of the, her number of followers is crazy! With a sweet face and adorable outfits, Anjou’s subscriptions have reached 1.2 million. 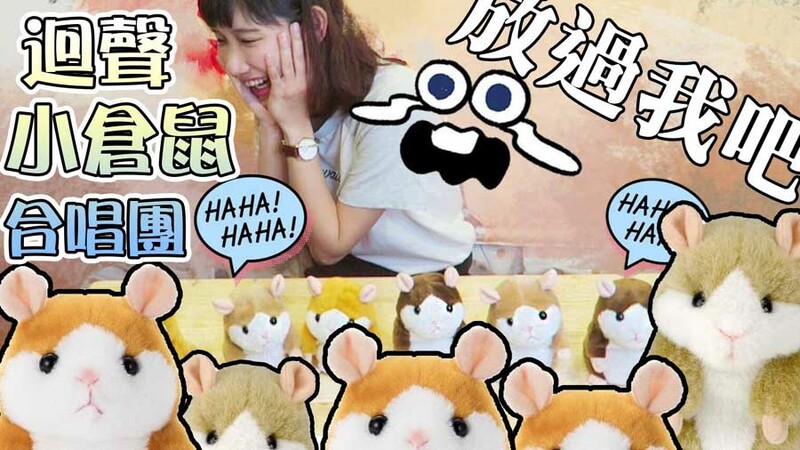 One of her most famous videos is the sponsored post of hamster toy recorders. We can see in this video that Anjou is almost having a breakdown because she has lost control over the toys, which made the viewers cracked up. Anjou also unboxes… interesting stuff sometimes (in other words useless). Janet uploads few videos on her channel. She is not a full-time YouTuber. 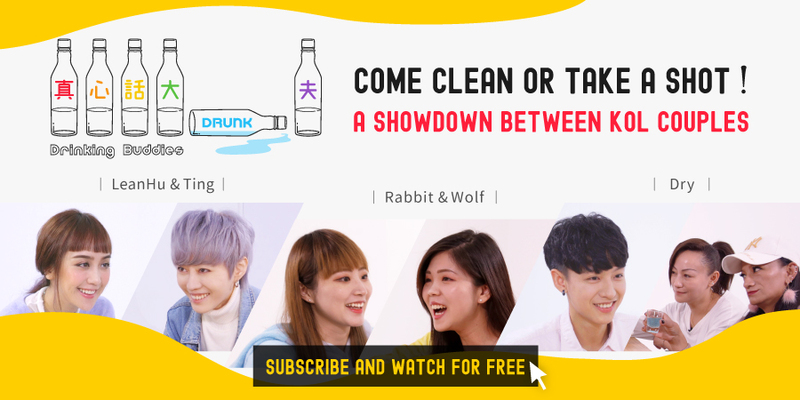 When she was studying in the States, she and another famous Youtuber HowFun sometimes made videos together. After coming back to Taiwan, she and her twin sister became partners and made appearance in talk shows. Besides, she is also good at composing songs and playing guitar. Last but not least, the newly-established channel created by Ben and Dry. Both of them are tomboy Youtubers. Ben has a chiseled face, opposite to Dry’s cute features. Their styles are also totally different. The main focus of their videos is random daily funny anecdotes. Although they have not produced many videos, we are looking forward to their performances in the near future.